Aylin White Designs create beautiful bespoke, hand-painted, wedding gowns which truly reflect each bride’s personality and passions in life. 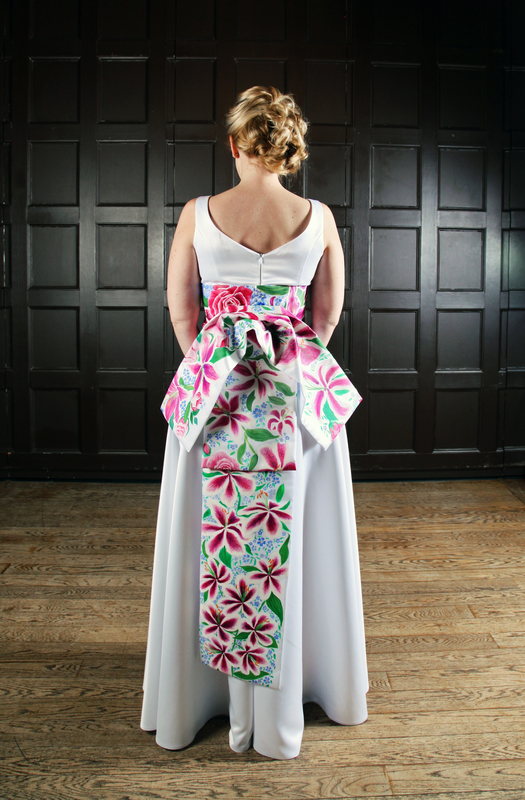 What is the reason you started your Hand Painted Wedding Gown brand? Having spent several years living and working in China, I came back home to the UK looking for a new challenge. In China I had been surrounded by beautiful, individually created arts and crafts. In particular the use of hand painting with its uniqueness, gorgeous colours and intricate designs caught my attention. The Chinese love to paint on hats, coats, dresses, shoes etc. as well as on paper, and I couldn’t understand why no-one was hand painting on fabric here. 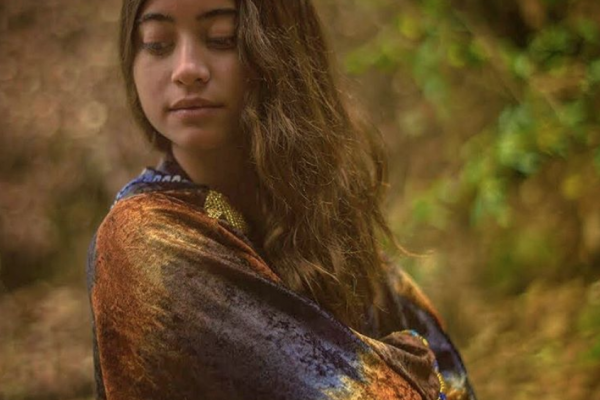 I love things that are unique and handmade and these artistic inspirations have helped to start my hand painted wedding gown business. Curriculum to children living in the UK and in International schools overseas. I have lived and worked in places across the globe from the USA to Australia. I have always been fascinated by handmade pieces of art and during my travels I have collected many beautiful and interesting objects from local artists. I would attend some business courses, such as ‘How to start and run your own business’ which would have been very helpful. And I would definitely try to attend as many social media courses as I could, in the initial stages of setting up the business, as these are invaluable for networking and marketing the brand. I’m a trained baby massage teacher. Which city would you feel most at home in, London, Paris or New York? London. I used to live in London and always feel excited and light-hearted as I enter the city. The history, cultural diversity, and of course, the shopping. Looking your best and being comfortable in whatever you are wearing. At a push statement bag, but I prefer statement coat or jacket. My grey sloppy cashmere cardigan, which is so old it’s got holes in it. Lip slave, lipstick and face powder. Kiss From a Rose by Seal – Is it a love song? No one’s really sure! I don’t drink coffee, I’m a tea drinker. If I’m feeling extravagant it’s a pot of Twinings English Breakfast. But I am just as happy with a big mug of black PG Tips. If you see something you like and you can afford it, then buy it; as you may never see it again. A packet of salt and vinegar crisps. Somewhere new – I would love to go to Cuba. Somewhere I have already been to – a warm sun soaked beach on a Greek Island. I’m still in my early days with starting up Aylin White Designs, but I intend to make good use of all the opportunities that come my way to build up a successful business and brand. Metal Dresses Steal the Limelight!